How old is the pond? The first clear reference to the pond was in the 14th century, when “the great fishery (of) Fleet Ponds” is referred to in the Rolls of Account of Crondall Manor. By this time, there seems to have been a thriving fishery of considerable importance and two ponds. Do any museums house records of the pond? Many Victorian naturalists visited Fleet Pond and references to its flora frequently appeared in natural history journals from this era, with herbarium sheets located at the Natural History Museum in Kensington and also at Reading and Oxford. When was the pond used as an ice rink? In the 1840’s, the South Western Railway ran special excursions to Fleet Pond, including a “Skating Specials” in the Winter. When was the pond, not a pond? In 1940, the MOD completely drained the pond to stop hostile bombers from using it as a landmark to find the Royal Aircraft Establishment at Farnborough (see photo above). What title did the pond receive in 1951? 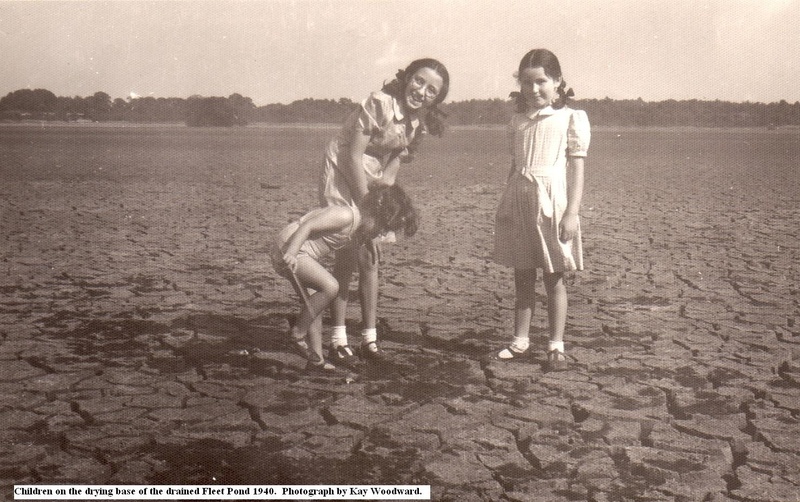 The pond was designated a Site of Special Scientific Interest in 1951 and was one of the first sites in Hampshire to receive this distinction, due to the importance of the lake to waterfowl and the rich aquatic and heathland flora. Ed. This article is a repost, it was originally published in October 2008. Different people like getting their information in different ways. 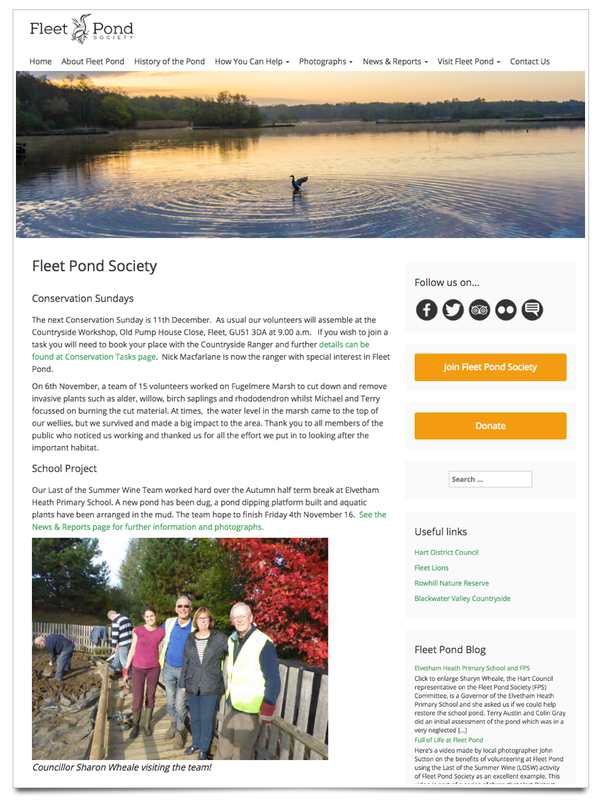 At Fleet Pond Society we have set up a variety of ways which hopefully cater for most tastes and which give a wide selection of snippets, photos and articles. Flickr (for sharing photos): https://www.flickr.com/groups/1501643@N22/ (555 photos, up from 388!). See also the Flickr widget on the rhs of this blog for the latest contributions. 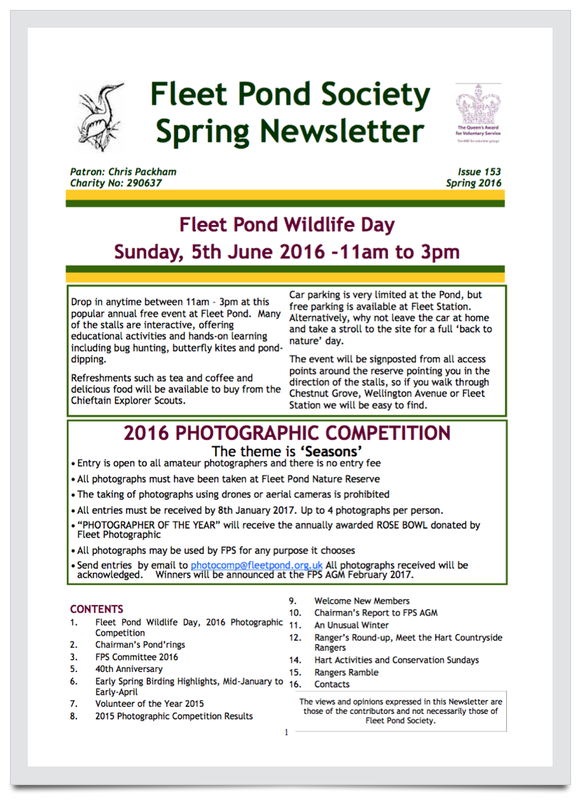 Newsletter (see sample page below): for FPS members only, instructions for joining our Society are here (just £10 per year). This goes into a lot of detail that cannot be found anywhere else. In addition, FPS regularly submits articles for publication in local newspapers, such as Surrey Hants Star Courier and Fleet News & Mail. 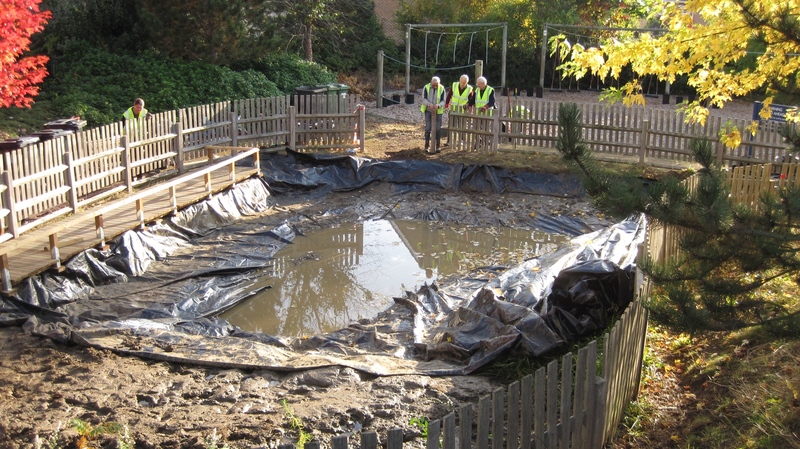 “Sharyn Wheale, the Hart Council representative on the FPS Committee, is a Governor of the Elvetham Heath Primary School and she asked us if we could help restore the school pond. Terry Austin and Colin Gray did an initial assessment of the pond which was in a very neglected and overgrown condition. 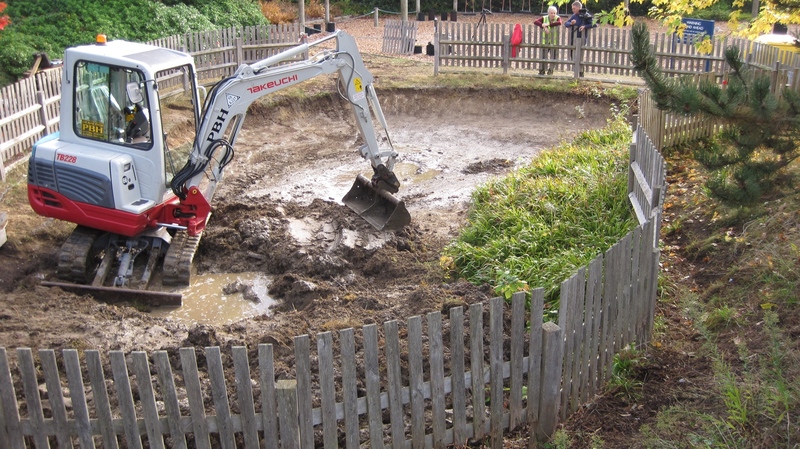 They invited parents, teachers and children to come to the school on 18th September 2016 to clear all the vegetation in preparation for a small digger to be used to re-profile the pond. A good turn-out ensured a lot was achieved! The digger (see above) worked on 26th October, during half term so as not to endanger inquisitive youngsters with heavy machinery. It was discovered that there was an concrete base under all the accumulated mud. 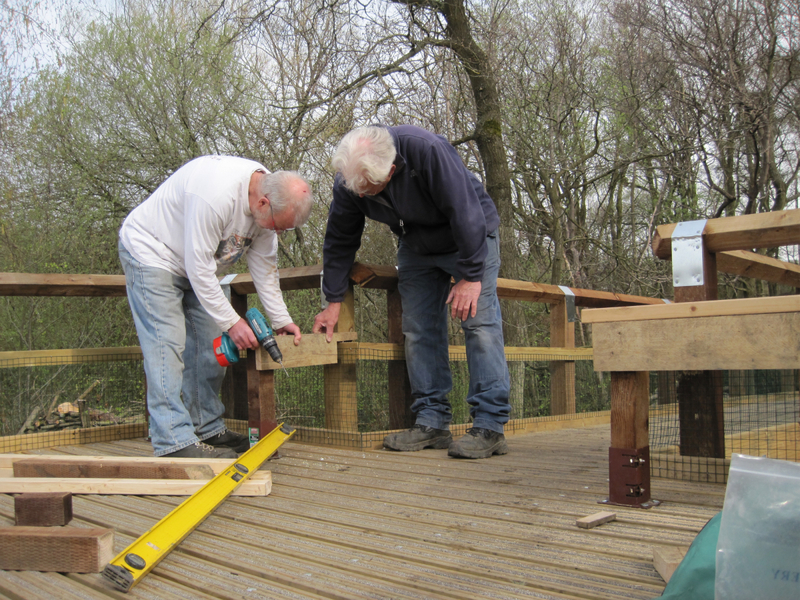 This complicated matters as the supports for a new pond dipping platform could not be driven into concrete. A scaffolding frame was built instead and the new platform fixed to the frame. We will keep you informed of progress on this very challenging task! If you would like to support FPS in the many voluntary tasks we carry out each year, please consider donating or joining (just £10 a year). 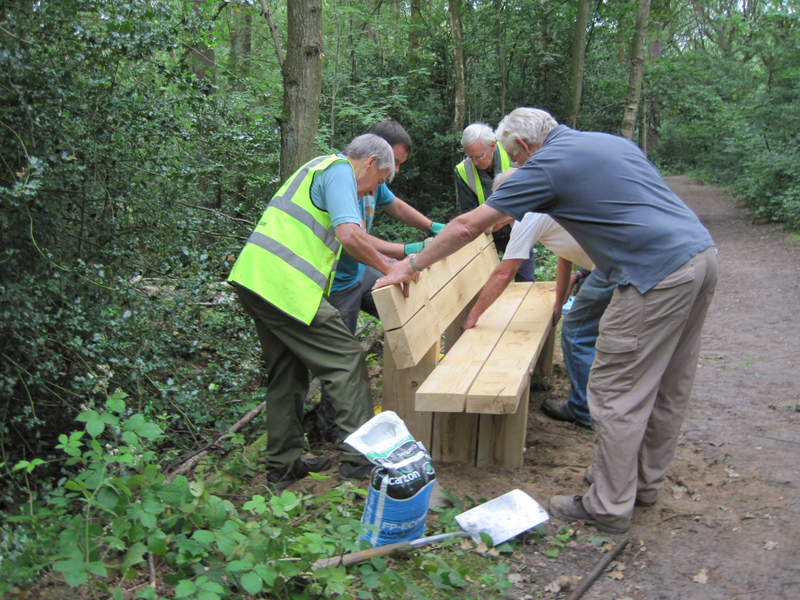 Here’s a video made by local photographer John Sutton on the benefits of volunteering at Fleet Pond using the Last of the Summer Wine (LOSW) activity of Fleet Pond Society as an excellent example. This video is part of a series of three that Hart District Council are using to promote and celebrate the achievements that older people make to the local community. This year we’re celebrating the achievements and contributions that older people make to our society with 3 short films to mark UK Older People’s Day 2016. The project is a collaboration between Hart District Council and local film-maker John Sutton from Clearwater Photography, with support from Hart Volunteer Centre. The films give a flavour of some of the ways older residents are giving their time and sharing their knowledge and skills with others. They also showcase 3 themes, Connect, Keep learning, and Be active, which are part of the Five Ways to Wellbeing, a set of simple evidence-based actions individuals can take to promote their wellbeing. It is likely that we will be on Fugelmere Marsh to start burning all the cut material and doing a bit more clearance of invasive plants (see also preceding task for October here). 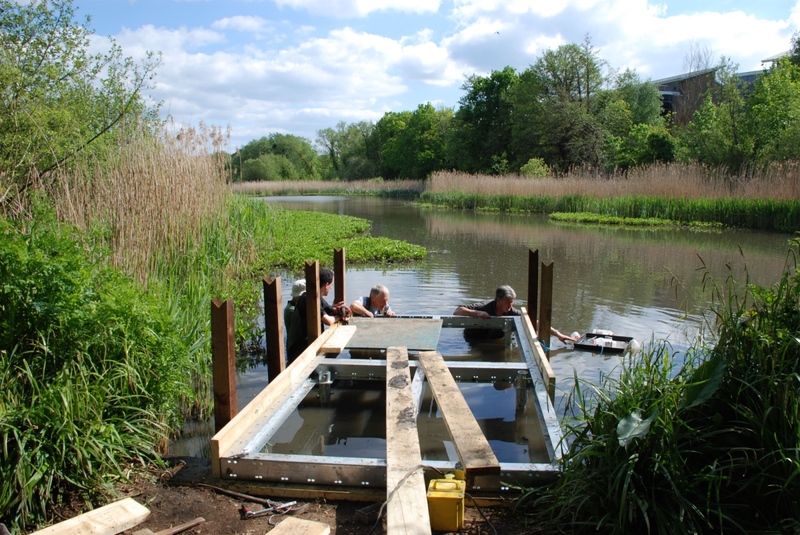 However task details will depend on the water level in the marsh. You are currently browsing the Fleet Pond Blog blog archives for November, 2016.